If Pearls are the gem of the sea, then turquoise nuggets are the gem of the desert! 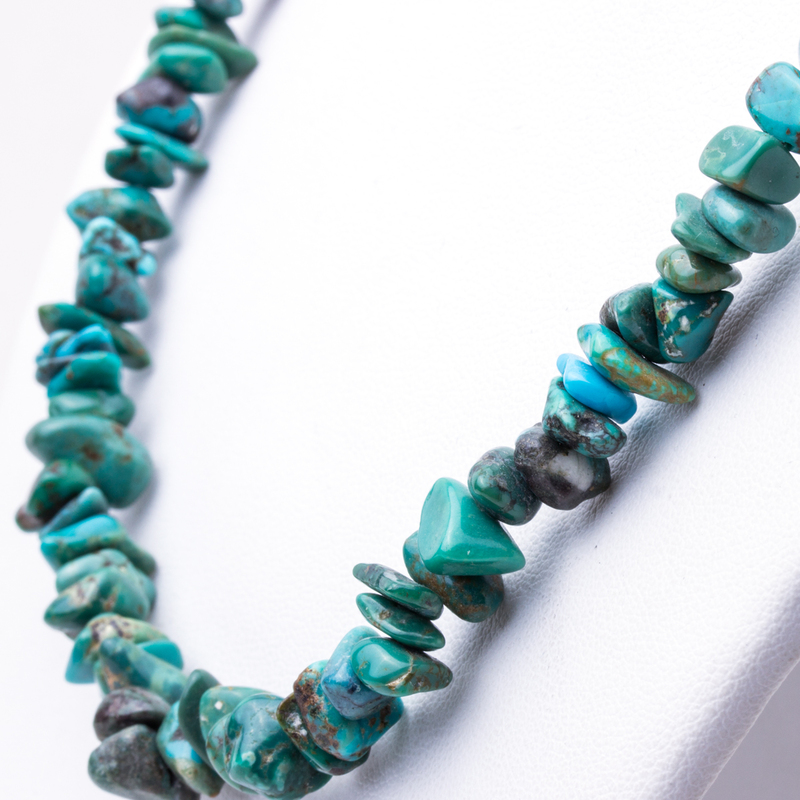 Show your love of the great Southwest with these greenish turquoise stones strung into an easy-to-wear necklace! 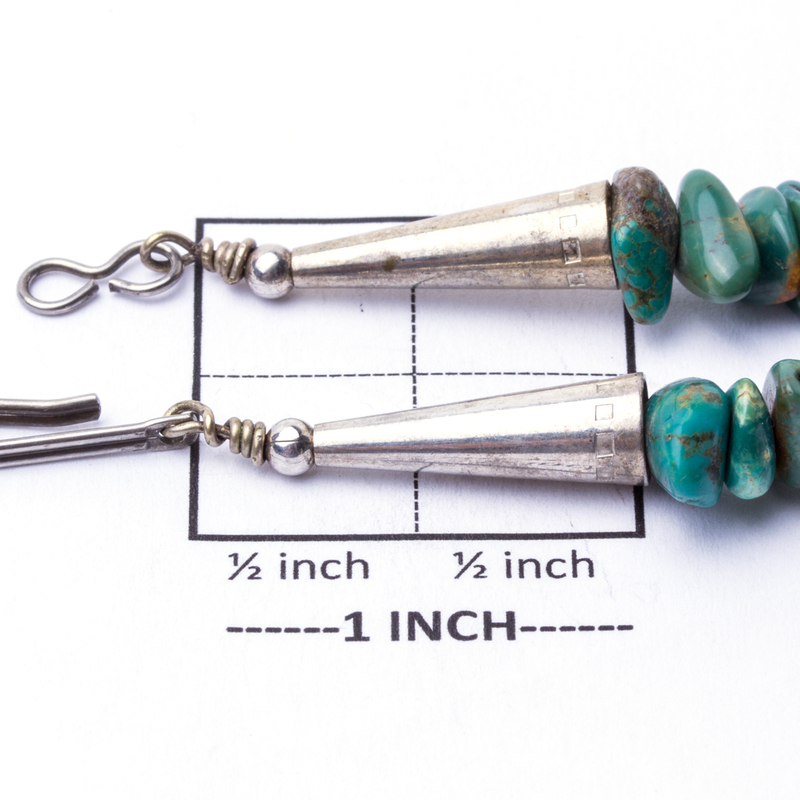 Perfect for summer, fall or winter, these will accent your boho or casual look perfectly. This necklace measures 17 1/2″ in length and is finished with Sterling cones and a hook and eye closure. The necklace weighs 37.9 grams. We offer free gift wrapping; just ask! 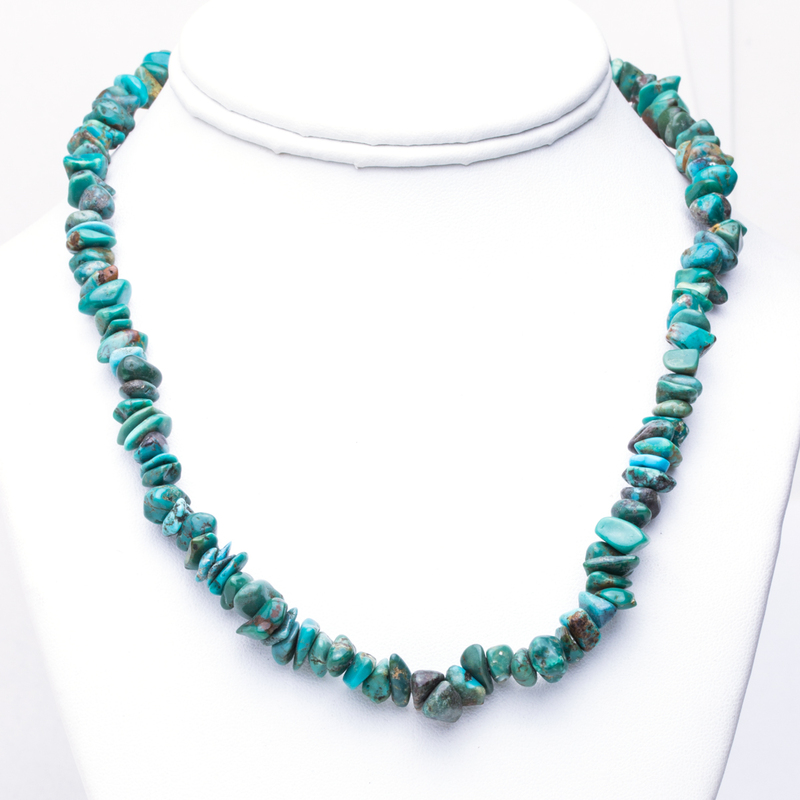 Navajo artist Green Turquoise Bead Necklace boasts the green hues of Turquoise and is capped in Sterling Silver cones that bring the shine to your style!